Meet on Thursdays at 1900 for 1915. Many of our members say they join Rotary because it gives them a chance to serve their community and give something back. Community ServiceIn local communities alone, each club raises tens of thousands of pounds for community projects and local charities, often more. Members also volunteer their time - supervising and organising community events, running projects to promote the achievements of young people, coordinating educational programmes and supporting local businesses. 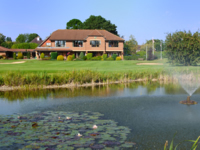 The Rotary of Club of Portsmouth North are delighted to announce details of the 19th Charity Golf Day at Rowlands Castle Golf Club on Thursday 2nd June 2016. Our club President looks forward to meeting you all for another great golfing event. To secure your entry and preferred tee time please complete and return the enclosed Team and/or Sponsor Forms together with the appropriate payment. This year’s principal charity and thus the main beneficiary of the majority of the funds raised on the day will be The Wessex Haven, Titchfield. 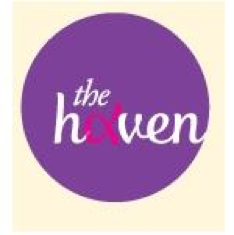 (http://www.thehaven.org.uk/) The Wessex Haven offers breast cancer support, aimed at improving the quality of life for people affected by breast cancer by providing personalised emotional and physical support, in the local area. Additional beneficiaries from the event will be other locally-based charities. Please be assured that every single pound raised on the day WILL provide support to local charities and, hence, local people. Who is sponsoring the event so generously. The extra money the sponsorships contributed ensured we reached our target £5,000.